In the early 1950s I was living with my parents, grandparents and youngest aunt on Battery Avenue, in South Baltimore. Money was not exactly tight in our house, but there was nothing to squander on movies and other stuff that kids our age were convinced we couldn’t live without. If you were not a pre-teen or teen in the early ‘50’s, you probably have no concept how far a half dollar could take you in the pursuit of peanuts, Cracker Jacks, hot dogs, soda and, of course, movies. The trick was to find ways to earn the money. Aunt Pat, who was four years older than me, had it easy. (Well, I thought so at the time.) She was in demand as a baby sitter, laundress, or house cleaner. Being male meant that I had to scrounge for other work, usually outside the house. If I wanted to hear change jingle in my pockets for the Saturday shows I had to take it to the streets. Being the clever lad I was in those days, I constructed a wagon from a beer crate (long necks), a couple of two-by-fours and four baby carriage wheels. On Friday evenings and all day on Saturdays, I pulled the wagon by its rope “harness” to the A & P on Fort Avenue and hauled groceries home for shoppers. My efforts would generally get me a nickel or dime per trip. On a good Saturday I could earn as much as fifty cents. The problem was if I worked all day Saturday, I would miss the movies. That was when the theaters showed double features with “selected short subjects,” ten minute films such as cartoons, newsreels and at least one serial, perhaps Rocket Man, Jungle Queen, or Captain America — all this for a dime. I also used my wagon to scavenge for old newspapers, magazines, scrap metal and rags that folks would put out for the trash man. But I had to get up early on trash days to beat the Rag Man to the good stuff. The Rag Man was a guy who wandered through the back streets and alleys, usually with a horse and wagon, collecting the same stuff I was trying to gather up to sell at the junk yard on Cross Street. To the best of my recollection iron was worth about two cents a pound, newspaper would bring half a cent, and magazines were worth a penny a pound. It took a fair amount of scavenging to come up with fifty cents or so for a week’s effort. Most of that work had to be done on school days, which meant I had to get up around five in the morning if I wanted to put in a couple of hours of “Gar-BAHGE-ing” before it was time to go to school. At one time or another, I also sold newspapers on the Northeast corner of Cross Street at Light Street, between a bank and a movie theater. The newspaper vendor hired boys like me (no girls allowed) to help him increase his sales. We would walk the streets and ride the trolley cars hustling the product. We were allowed on the trolleys free but could only ride a block or two, and then had to get off and catch one going in the opposite direction. The daily papers sold for a nickel each and I earned a half-cent. The Sunday editions cost a quarter and my share was a nickel. Again, on a good week, I could earn as much as seventy-five cents, but if I only sold dailies it was usually closer to fifty. My all-around favorite way to make money was to work for the “Arabbers”. These were the guys that sold fresh produce from horse-drawn wagons. They would make their rounds through the neighborhoods chanting: ‘Watermelluun! Can’elope! Nice fresh corn, pic’d this very morn. Watermelluun!” The chant would vary depending on what he was pushing on a given day. The Arrabber would usually ride on the wagon seat, or walk at the horse’s head as he went up one street and down another, singing the song of his farm-fresh stock. The Arabber would stop in the middle or the end of the block so that the housewives could come out and poke, prod and look over his offerings. I would bag the selections, keep the produce looking good, straighten the wagon and occasionally run produce up to Mrs. Rosen’s when she called down an order from her apartment window on the second or third floor. For instance, the Arabber might be chanting: ‘I got ‘taters, I got corn, I got Anne ‘rundels pic’d this very morn! Anne ‘rundels a nickel a piece or three for a dime!” (“Anne ‘rundels” were tomatoes grown in nearby Anne Arundel County.) Mrs. Rosen might yell down: “Hon, I only need two. Send ’em up and make sure they’s firm, now.” Of course it was my job to run the tomatoes up to Mrs. Rosen’s apartment, collect the money and run back down to the wagon to give it to the boss. If Mrs. Rosen gave me a quarter, I had to make another trip up the steps with her change. Usually, a day’s work on the wagon was worth a quarter. With the occasional nickel tip, I could pull down half a buck on a good Saturday. I remember one Saturday the boss paid me and the other helper in oranges. It had been a bad week for orange sales and these were beginning to get a bit soft. We each got a dozen oranges and had to carry them home in our shirts because, the Arabber said, ” . 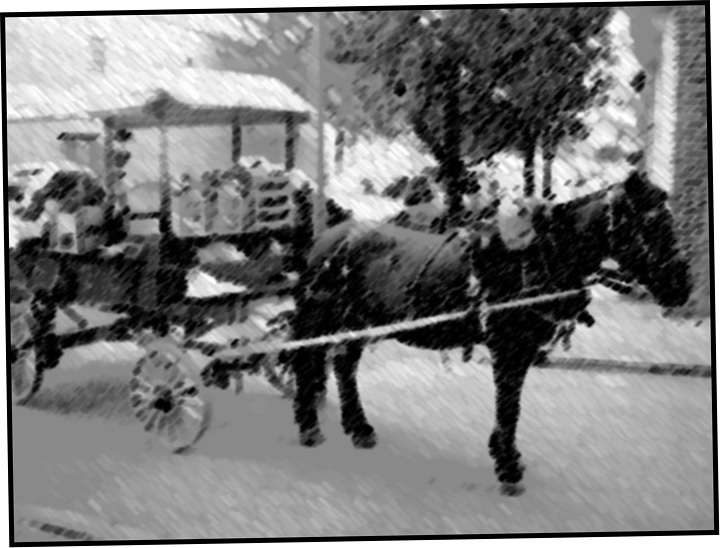 . . bags is expensive.” If I didn’t learn anything else from my Arabber days, I discovered that it was better to be the guy that owned or rented the wagon than the kid who did the running. Overall, though, I have no complaints. During that productive period of my childhood I learned how to work hard and earn spending money — and how to depend on myself to get those things I wanted that my folks, for whatever reason, couldn’t afford to provide for me. 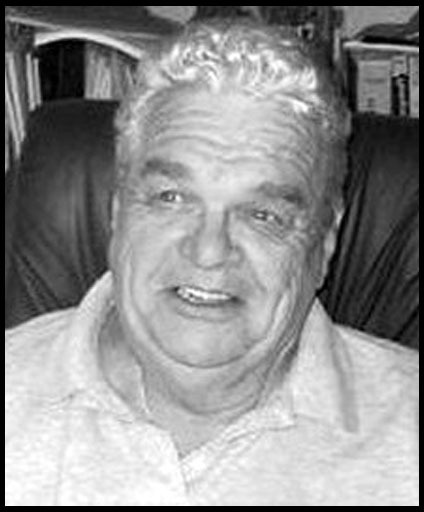 Jake Jakubuwski spent nearly two decades as an active locksmith and door service technician. He has been writing physical security related articles since 1991. Seventeen years ago, Jake wrote his first article for the National Locksmith Magazine and has been their technical editor for fifteen years. Pure Jake Learning Seminars©, his nationally conducted classes, are designed for locksmiths and professional door and hardware installers. For more information, click the “Pure Jake” link in the sidebar blogroll and under the “business” label. This entry was posted on Monday, September 14th, 2009 at 5:00 am and is filed under business, essays, film, kids, media, movies, non-fiction. You can follow any responses to this entry through the RSS 2.0 feed. You can leave a response, or trackback from your own site.